Blog > Designers > Lace shawls for everyone! Knitting lace is a leap of faith! If you haven’t tried it before, you won’t believe how a row of yarn overs, K2togs and PSSOs can produce such delicate and beautiful results! Whether you’re new to lace knitting or in need of a lace challenge, we’ve chosen three stunning lace shawls for you to knit in Special Merino Lace yarn! Special Merino Lace is a stunning limited edition yarn in 18 fabulous shades! 100% merino wool, it is gorgeously soft and warm to wear! Spun in Italy and hand dyed in Chile, the variegated shade palette is absolutely beautiful and we can think of no better way to show it off than to knit a shawl! There are 18 shades to choose from – we love 04, 08, 16 and 02! This fabulous yarn is now 50% off in our January sale, be quick and snap it up while stocks last! Perfect for chilly days, these stunning shawls are also ideal to throw over light summer dresses, evening wear and bare shoulders – a beautiful and practical accessory for all seasons! Lace is all about patterns and repeats – so don’t forget stitch markers! For the perfectly finished shawl, make sure you follow Elizabeth Bagwell’s handy guide to blocking. From independent designer Michelle Krause, this beautiful shawl has a garter stitch body with lace edging, and is a perfect first lace project! Worked in one piece, it is completely reversible and is perfect to keep you extra warm or to shield you from strong sun! If you’re new to lace, you might like Elizabeth Bagwell’s Knit your first lace blog post to introduce you to new terminology! You’ll need 4mm needles for this project. A stunning shawl full of diamonds, curves and picots – including the much fabled double yarn-overs! This beautiful shawl is designed by independent designer Mary-Anne Mace, and the lace stitches are on the right side rows only, so this shawl will be a fun but quick knit for lace lovers! Needles required: 3.75mm circular (100cm) needles and 4mm needle (or DPNs) for cast off. 3. Siren Song – a challenge for lace lovers! The Siren Song lace shawl is our advanced project choice. By designer Louise Zass-Bangham, this stunning shawl shows off elegant Art Deco waves, is a slight parallelogram in shape, finished with elegant points. Block with either straight edges or use the gentle scallops along the bigger waves. There are three sizes to choose from in the pattern – a one-skein scarf to a generous shawl. Lace is worked on the right and wrong side rows, a good challenge for an advanced knitter. Needles required: 4mm circular (100cm). Last updated: January 26th, 2015. 26 Responses to Lace shawls for everyone! If you tap or click on the picture it takes you to the page to purchase. They are not free and appears to be a hard copy. I would like to make the ‘Siren Song’ shawl. I clicked on the picture and there was no price, no details as to quantity of yarn and nothing to download. Is it the page that is having problems? I didn’t get through the picture either, but I clicked on the underlined title and it went to the correct page. Sorry to report that link was broken! but it’s all fixed now and if you click on the image, you’ll be able to see the pattern and all the details you need! I’d love to knit the Sentinel with Special Merino Lace, do I need two or three balls of yarn? I’ve just checked the pattern – it needs 645 metres, which would work out to 2 hanks of Special Merino Lace (which are 410m each). Given these patterns are PDF which means its my paper and my ink that I’m using to print I think the cost of £4.18 is rather high when I looked for sentinel pattern.Debbie Bliss Rialto Lace booklet has similar pattern and was only £4.99 for 8 patterns. We’re sorry you feel this way, we aim to offer a range of fairly priced patterns that suits all. For digital patterns from our independent pattern designers, it’s the designers themselves, rather than us, that set the pricing. They set a price, which they feel is fair for their work, as unlike our yarn companies, the patterns are often their only way to make a living. Currently, after we pay the VAT, we send every penny made on independent designer patterns back to the designers and we would love our knitters to support them in this but we do understand it may not be suitable for all! We do also have 1000s of free patterns available to download on the site alongside our yarn company patterns. If you are looking for any particular patterns to go with your yarn, please do let us know! We’re always here to help! Australian $6.80 seems a little steep for an online pattern. There are thousands of free patterns and a book of patterns costs little more. Also the pictures are frustrating. There needs to be one picture with the shawl laid out flat on a table or similar so that you can actually see what shape it is. The photo’s are all of it draped around the model or scrunched up on a rock. Didn’t buy. Hi Annemarie – I’ve just explained the costing to another knitter too. I’ll definitely pass on your helpful feedback about photography, it all helps! We’re sorry you feel this way, we aim to offer a range of fairly priced patterns that suits all. For digital patterns from our independent pattern designers, it’s the designers themselves, rather than us, that set the pricing. They set a price, which they feel is fair for their work, as unlike our yarn companies, the patterns are often their only way to make a living. Currently, after we pay the VAT, we send every penny made on independent designer patterns back to the designers and we would love our knitters to support them in this but we do understand it may not be suitable for all! We do also have 1000s of free patterns available to download on the site alongside our yarn company patterns. If you are looking for any particular patterns to go with your yarn, please do let us know! We’re always here to help! Is your lovely looking wool suitable for machine knitting? I prefer 4ply weight if possible. Do you have cones? I love the shawl patterns but again would like machine knitting. thanks. Unfortunately we don’t have plans to stock machine knitting cones at the moment. If we do, we will certainly make sure the blog is updated to announce the change. Merion & the LoveKnitting team. Annemarie Butler took the words out of my mouth. I have this complaint for all the pattern that are offered. I would like to see what I buy to know if I like it. I also need to know if the pattern is written out or in charts. I don’t want to buy another written out pattern by mistake, in my whole life. Hi Stefanie – we do understand. I will make sure we say whether or not a pattern is charted in our descriptions from now on – it really helps to know before you buy. We’re sorry you feel this way about pattern costs – we aim to offer a range of fairly priced patterns that suits all. For digital patterns from our independent pattern designers, it’s the designers themselves, rather than us, that set the pricing. They set a price, which they feel is fair for their work, as unlike our yarn companies, the patterns are often their only way to make a living. Currently, after we pay the VAT, we send every penny made on independent designer patterns back to the designers and we would love our knitters to support them in this but we do understand it may not be suitable for all! We do also have 1000s of free patterns available to download on the site alongside our yarn company patterns. If you are looking for any particular patterns to go with your yarn, please do let us know! We’re always here to help! Wonderfull Post Merion! Could you please let me know that can we make a jacket from lace shawl? Hi Baba12b! I’m so glad you liked the post! We love this gorgeous yarn – you can definitely use it for any lace weight or 4ply pattern. I love this Winter Wrap – http://www.loveknitting.com/winter-wrap – you could knit this in Special Merino Lace (the details of how much yarn you need are in the pattern), or use a lace weight mohair yarn (which is what the photograph shows). Merion and the LoveKnitting team. Love the patterns – do you have any suggestions for suitable yarn with zero wool content, please? Even the softest wool feel itchy to me! Hi Janet A! Best to aim for either acrylic yarns, or bamboo for these shawls, or even some cotton content. A mercerised cotton will help with drape – where the cotton is coated – and Rowan Siena 4ply comes in some beautiful colours and has a beautiful sheen. Merion and the LoveKnitting team! Thanks for your comment. We’ve got lots of free shawl patterns on our site, if you check our Free Patterns section, we hope there’ll be something that you will like! 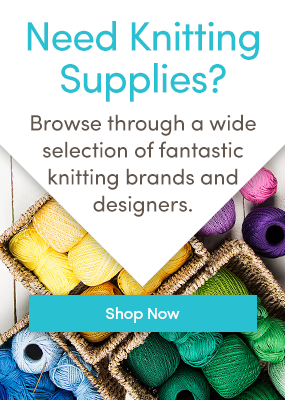 I’ve explained the cost of patterns further up this thread – we are very supportive of our independent designers and their work, but we know this is not the right choice for everyone, so we have 1000s of free patterns on our site too! Do have a look through and if you can’t find something you love, please let us know! hii.very niceeeeeee.Love the patterns….thank u for that..
Do you have problems with the bottoms of the shawl rolling? I have knitted 2 shawls and both of them rolled so you dont see the pretty details. Any tips?